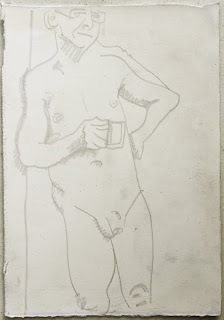 Naked Man Holding a Cup. 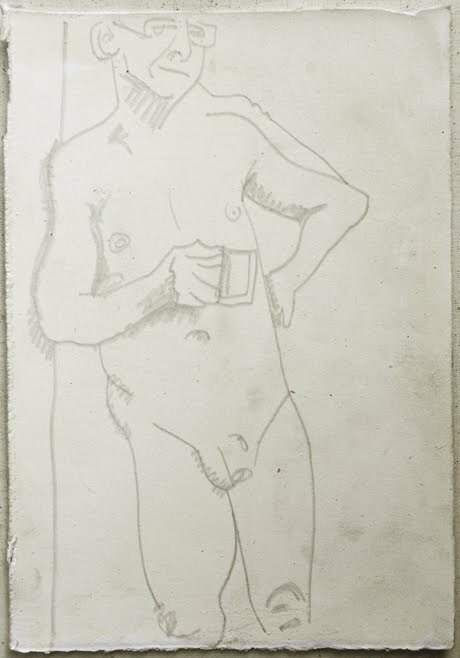 A quick silverpoint drawing I did at my last life drawing session. This was done with a biggish piece of stirliing silver onto a light yellow toned gouache paper. I've proven to myself that silverpoint doesn't have to be all painstaking fine lines and cross hatching. I really liked the natural pose. This was just as he was standing naturally during our coffee break. I prefer these poses to the more contrived poses that models are often encouraged to assume in life drawing classes.